When one thinks of great place to live in Virginia, Bedford County immediately comes to mind. Situated in the picturesque hills of Central Virginia, Bedford County boasts quiet towns, spectacular natural scenery, a wide variety of recreational options and excellent real estate opportunities. Bedford County real estate is highly affordable yet strong in value thanks to its ideal location and competitive interest rates. Bedford County property and Bedford County homes for sale are great for retirees looking to spend their golden years amidst the region’s idyllic beauty, families looking for safe and nurturing communities and commuters to nearby cities. With its wide array of housing options, peaceful landscape and modest cost of living, Bedford County is one of Virginia’s best place to live. Bedford County real estate has remained strong even in the face of economic turbulence. The county’s properties enjoy strong, stable value as well as great prospects for building and keeping long-term wealth. The Bedford County housing inventory is robust and includes quaint countryside homes, comfortable suburban townhouses, large duplexes modern condos and much more to choose from. Bedford County homes for sale, with their enticing price options and wide variety of designs and styles, make them perfect for just about everyone on the market. Simply put, Bedford County property has something special for everyone to fall in love with. The county’s robust and affordable property market is just the first of its many great features. Bedford County also boasts excellent amenities, local attractions and a very high quality of life. Like all communities where the standard of living is high, Bedford County homes afford people the opportunity to live close to parks, green spaces and trails. The county's parks and recreation division is particularly robust. Facilities like Falling Creek Park, with its system of trails, disc golf course and skate park are perennially popular with people living in Bedford County VA homes. The county also operates several community centers where people who own real estate in Bedford County can attend a variety of fun and educational classes. Many of the classrooms and meeting spaces can also be rented by the public. The county offers outstanding public schools as well as a minuscule crime rate and one of the country’s most picturesque settings. 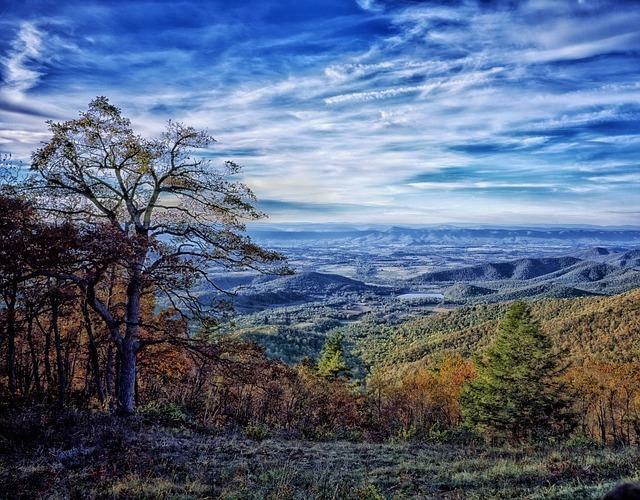 The stunning Blue Ridge Mountains abut the county and afford plenty of recreational and leisure activities such as mountain climbing, hiking, camping and biking. Additionally, the county boasts a growing and thriving economy based largely on growth sectors like tourism, real estate, business, retail and education. Those who choose Bedford County real estate will quickly discover that the area affords them a wealth of fun activities. The Blue Ridge Parkway beckons with hundreds of miles of gorgeous scenery and countless opportunities to enjoy the great outdoors. In the town of Bedford, the downtown district is the place to be for unique shops and delicious dining experiences. The Bedford County home buyer will also want to visit Thomas Jefferson's grand Poplar Forest and the moving National D-Day Memorial . Smith Mountain Lake is a popular destination for those who love the outdoors. Similarly, the nearby Peaks of Otter is a longtime favorite. Choosing Bedford County homes for sale allows newcomers the opportunity to join an active community. Poplar Forest is known for holding enriching events during each month while the D-Day Memorial hosts commemorative and living history events on a regular basis. The county is also the home of several footraces and mountain bike races. With its idyllic Blue Ridge scenery and livable communities, Bedford County is truly one of the top real estate hotspots of Virginia. Whether you’re searching for a start home, a vacation home or a larger, new house for your growing family, Bedford County is the place to look.